If you know the price please tell me as well. I am looking for the same Engine. Or Either QG15 is also good. Can’t tell unless you read the code on engine but I’m 90% sure it’s a 4efe. Brother I would not expect so much. On petrol it should be fine with 5 people and ac but on cng I think it’s too much on the poor 1300cc engine. This is 4EFE 1300CC with tubular intake it was the last gen of E series engine. Performance is ok not bad but with 5 people bit underpowered. Can be 5efe as well. 5efe was1500cc pretty good. Read the engine number to be sure. @karakoram bhai I need your advice. I have corolla XE Saloon limited 97 with 1.3 L engine running approximately 160k kms. Now its rings are becoming weak, which will require a sort of engine work in future. The mechanic has advised me that instead of spending on ring piston work go for a new engine. So, 1.3 seems a bit under powered to me. I need slightly a bigger one say 1.5l with auto transmission. Kindly seggest me an engine that is good in power plus it should also be good with the fuel economy at the same time. Currently 4efe, equipped in my car harldy gives 10km/l, whatsoever. Kindly guide me regarding the above needs. Swap 5AFE with manual transmission. Its better bigger and newer will give you good economy if done properly. Thanks for the suggestion Sir! Thanks for replying sir. I will definitely consider this option. 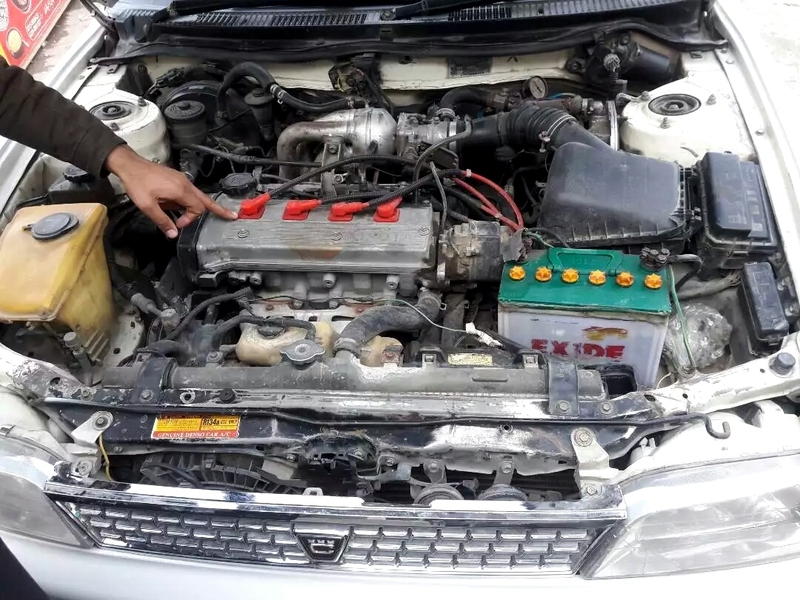 According to my experience the 1.6L 4AFE is the most fuel efficient one in the A series engine swap options for Indus Corolla if you find an engine in good condition. Ask the experts if its possible to swap a 3ZZ-FE without much alteration because it performs a lot better than the previous generation corolla engines. AoA can you please guide me ? any idea for price of 1HD-FT (24 valve) with gear, complete wiring & computer ? AOA Brother, can you help me in finding the Power Steering Assembly for Civic 1988 model; its price & availability please...! AOA dear brother, i have khyber 1995 model from Multan. I learned about you from post. 1.) I have done denting and painting but engine blow and engine oil started consuming. 2.) Kharadia says head need to replace, which i didn't find in good condition. 3.) Gear box is also leakage and 04th gear bhe nikal jata hy apny app long drive py. Now want to swap engine pleas suggest me engine to swap and estimated cost. my budget is from 60K to 90K or more but i prefer to have engine good / new condition. Please suggest me engine type and estimated cost please. My Number is 0321 631 22 48. Hi. Wat would be engine swap for carbi mehran with efi one..